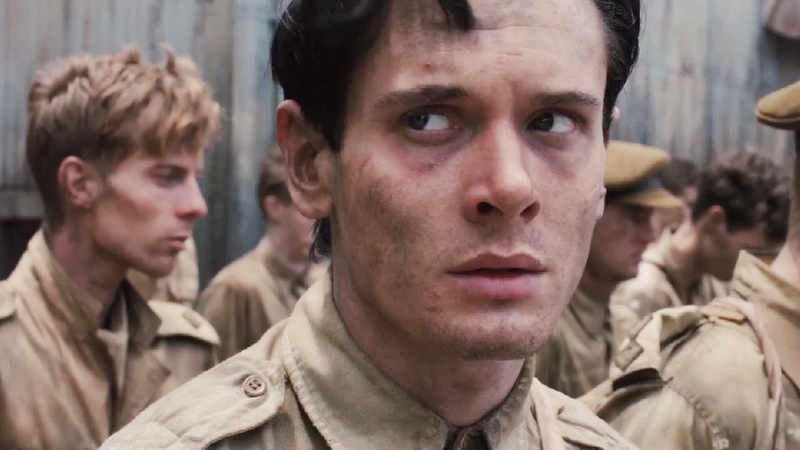 A wartime biopic, Unbroken recounts the admirable true survival story of Olympic athlete Louis Zamperini, but fails to move past the never ending series of agonies. The son of Italian immigrants, Louis Zamperini (Jack O'Connell) is heading towards a useless life until he channels his energy into athletics with the help of his brother Pete (Alex Russell). Louis becomes an Olympic middle-distance runner while still in college, and competes at the 1936 Berlin Olympics while settings his sights on the 1940 Tokyo games. World War Two interferes, and Louis finds himself in the Air Force serving as a bombardier in the Pacific theatre. Out on a rescue mission, his plane crashes into the ocean, and Louis is stranded on a raft with fellow airmen Mac (Finn Wittrock) and Phil (Domhnall Gleeson). A brutal 47 day ordeal follows, with the trio battling a shortage of food and water, shark attacks, strafing from a Japanese war plane, and ocean storms. Louis survives and is finally taken prisoner, confined to a tiny cell on a Japanese-held island, and eventually transferred to a Tokyo prison camp. The sadistic warden Mutsuhiro "The Bird" Watanabe (Miyavi) relishes the opportunity to degrade an Olympian and ruthlessly picks on Louis, regularly administering beatings and other forms of humiliation bordering on torture. There is some relief when The Bird is transferred to another facility, but with the war coming to the doorsteps of Tokyo, there is yet more suffering ahead for Louis. Zamperini's tale is harrowing, and director Angelina Jolie does an excellent job of chronicling the incredible ordeal that he had to survive. Unbroken is grim, unrelenting, and at 137 minutes, close to oppressive. It achieves the objective of celebrating a human spirit with a remarkable ability to bend but never break, while laying bare the brutalities that men can impart on each other in the name of war. But a movie needs more than one scene of suffering followed by another scene of suffering, and here Unbroken falls short. Once the pattern is set on the raft, the film wallows in a wide open ocean of misery. There are precious few breaks for humour, humanity or meaningful dialogue. The 47 days on the raft appear to pass in real time, and Louis' subsequent experience in various Japanese camps is no less harsh. The script (co-written by Joel and Ethan Coen) makes its point and pounds away at it to exhaustion. The successive agonies experienced by Zamperini begin to merge into an indistinguishable blob, in a case of more is less. 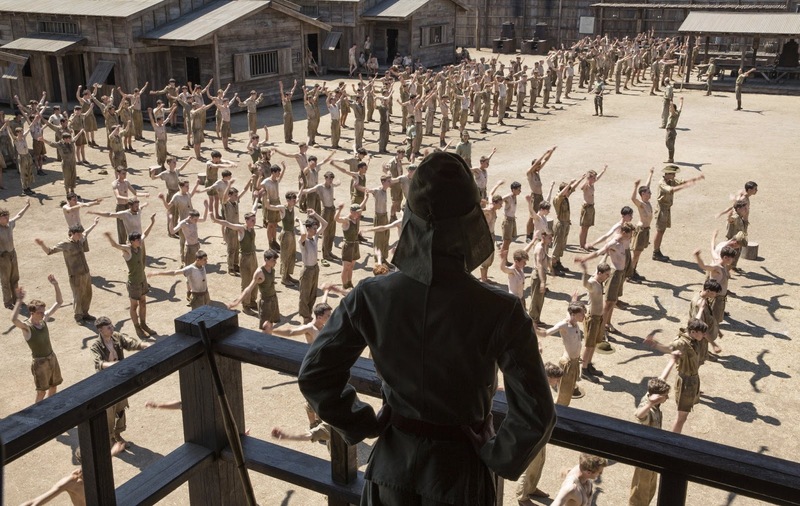 Unbroken also suffers from a central character who is primarily a passive victim. Once the plane falls out of the sky, Zamperini is rarely in a position to influence events around him: he has no decisions to make and no moral dilemmas to confront. Instead, bad things happen and he just rolls with the punches (often literally) with the sole aim of surviving to see another day, much as young Jamie Graham does in Spielberg's Empire Of The Sun. Jack O'Connell grits his teeth and gives Louis the pluck needed to stare down every impulse to fold and give in, but the actor has few scenes of human interaction to work with. Japanese musician Miyavi, in his acting debut, makes for an intimidating villain, worthy of hate. The rest of the characters enter and exit the film as almost interchangeable faces, wallpaper in Zamperini's journey through the hell of war captivity. Jolie's directing is functional, with the cruel surroundings recreated in convincing fashion, from the desolate ocean to the Japanese prison camps and finally a coal mine where the prisoners are used as slave labour. Jolie gives the film a stark, soiled look, war's forgotten backdrops a grimy hell with no chance for glory. Unbroken is a well-designed obstacle course of survival, but that is all there is.